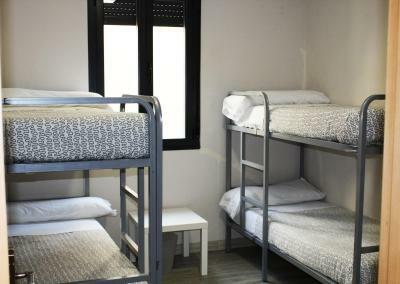 Lock in a great price for Albergue Muralla Leonesa – rated 8.8 by recent guests! Fernanda was the nicest host we met on the Camino so far. You can be very happy if you can get a room here! 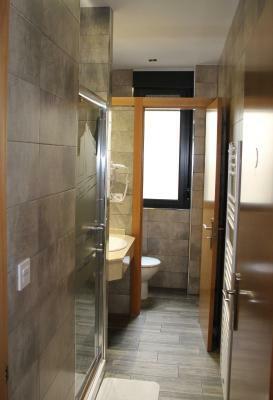 Great little albergue with super clean rooms and an awesome shower. Staff was amazing, helpful, so nice. Spoke English and Spanish. Great morning breakfast. 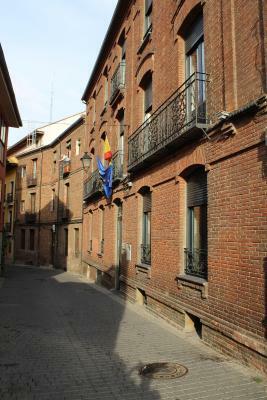 We spent one night at Albergue Muralla during our September 2017 camino. 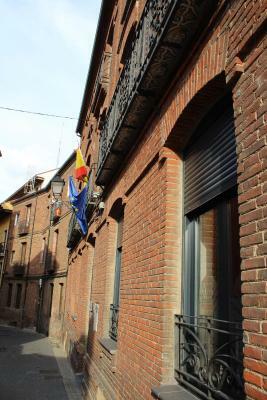 It is in a very nice part of Leon, in the "old town" with an updated interior of a very old brick building. 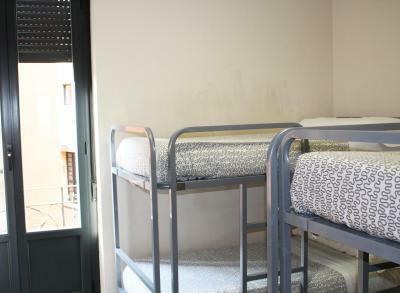 Four of us shared a "quad room" of two bunkbeds. Our room was one of several private rooms on the main floor of the albergue. Very nice hostess. Breakfast was included in the rate. 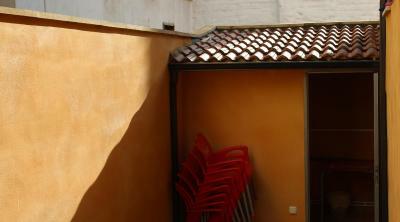 Small patio in back of the building. Good wifi. Will stay here again during a future camino. 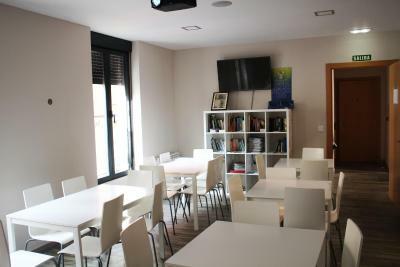 Great location close to Plaza Mayor...a reasonable walk to the train station. We had a shared bathroom. Best thing was there were two of them for 5 rooms. The we clean and very well lite. Helpful staff who speak English. 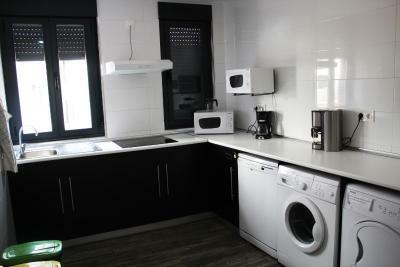 Kitchen, washing machine and dryer available. 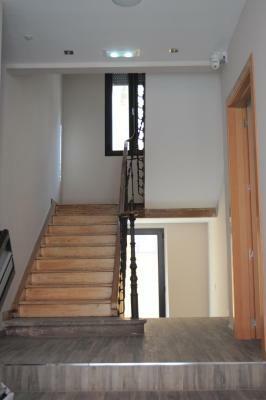 Nice location in old town. 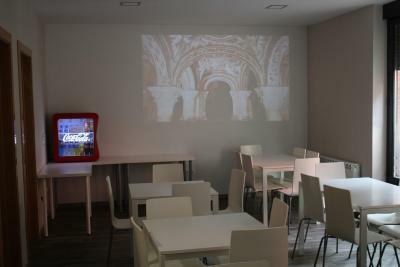 Featuring free WiFi, Abergue Muralla Leonesa is located in Leon. 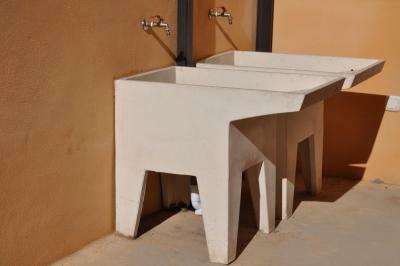 It also offers a shared terrace, lounge area, and a kitchen. 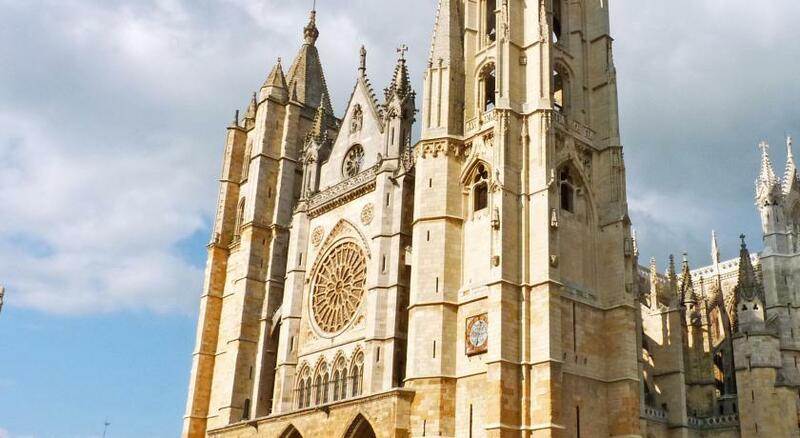 Leon Cathedral is 1,650 feet from the property. 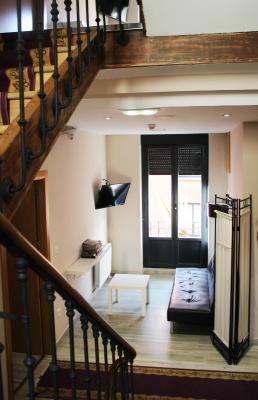 All rooms feature simple décor and parquet floors, and the shared bathrooms come with a shower. Bed linen is provided. 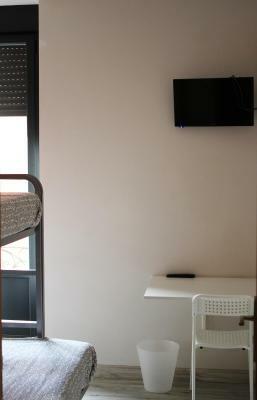 Some rooms also include a flat-screen TV. 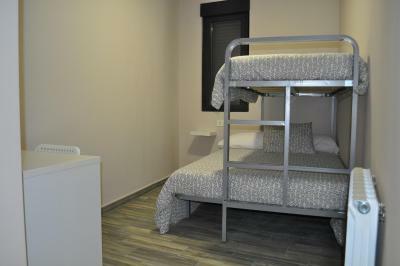 This hostel has a tour desk, where staff can provide you with tourist information about the area. 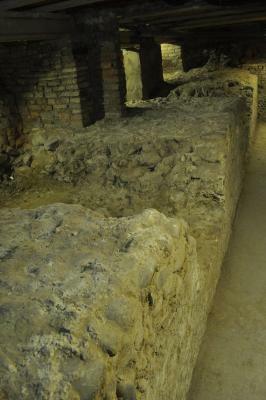 Luggage storage and bicycle parking is available. 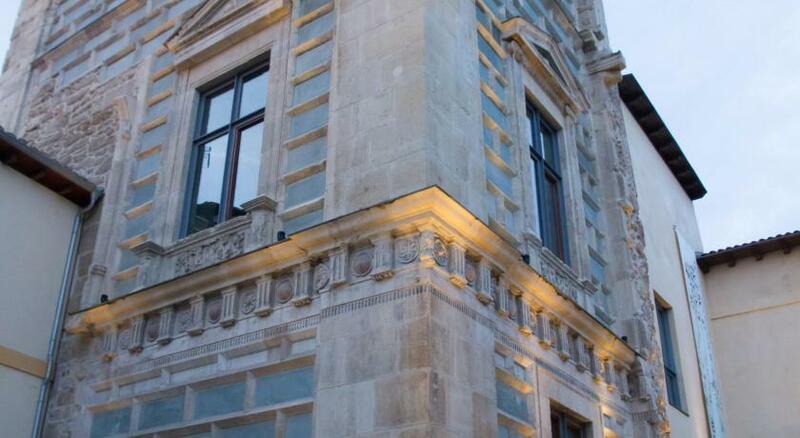 Palacio del Conde is 1,150 feet from Abergue Muralla Leonesa, and Casa Botines is a 7-minute walk away. Leon Train Station is 0.9 mi from the property. 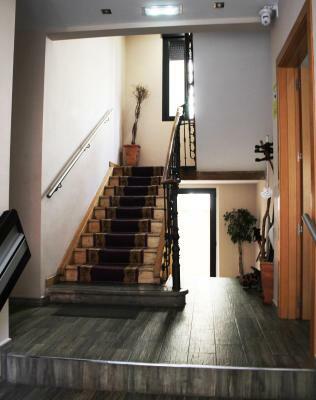 뀐 Located in the real heart of León, this property has an excellent location score of 9.5! 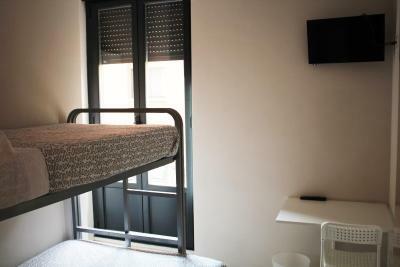 When would you like to stay at Albergue Muralla Leonesa? This double room features simple décor and parquet floors. 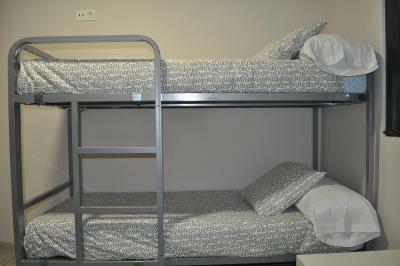 It has 2 single beds or 1 bunk bed, as well as a wardrobe and a desk. Free WiFi is available. This triple room features simple décor and parquet floors. 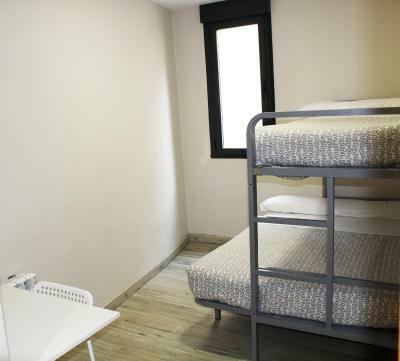 It has bunk beds for 3 people, as well as a wardrobe and a desk. 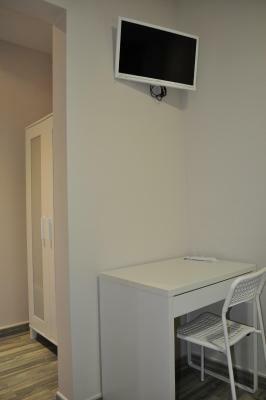 A flat-screen TV and free WiFi are available. This quadruple room features simple décor and parquet floors. 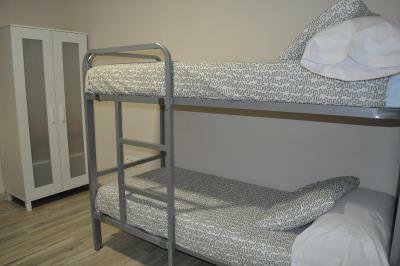 It has 2 bunk beds for 2 people each, as well as a wardrobe and a desk. Free WiFi is available. 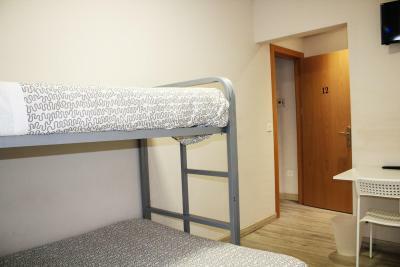 This bed in a mixed dormitory room features free WiFi. 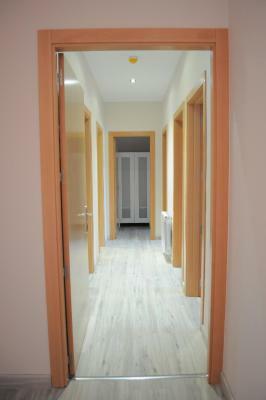 The room offers simple décor and parquet floors. A wardrobe is also available. 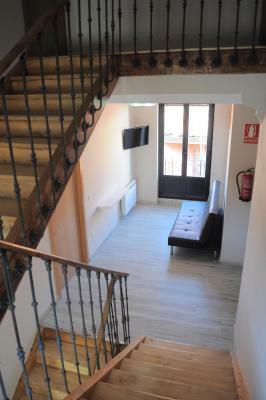 House Rules Albergue Muralla Leonesa takes special requests – add in the next step! 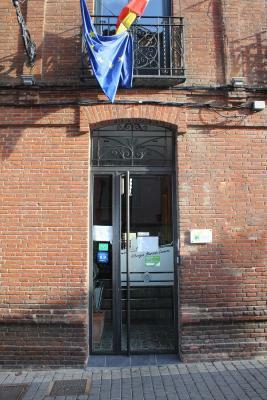 Albergue Muralla Leonesa accepts these cards and reserves the right to temporarily hold an amount prior to arrival. Great location, lovely friendly and helpful staff. Clean and modern inside. Good breakfast. Was happy with our private room. We found a bed bug in the morning. Although nothing to do with the accommodation, the other guests were very loud, the arrived late and then back at 05h00. Not ideal for tired pilgrims. The owner was very friendly and helpful. We had to make a last minute reservation and she gladly assisted. The room was comfortable and the heater perfect. 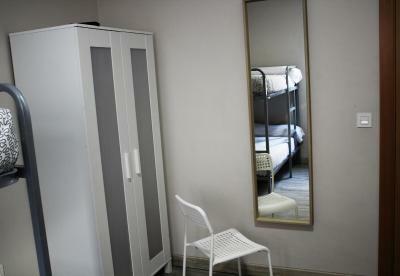 I was sure that I booked this as a double room, instead it was charged and sold as a quad. 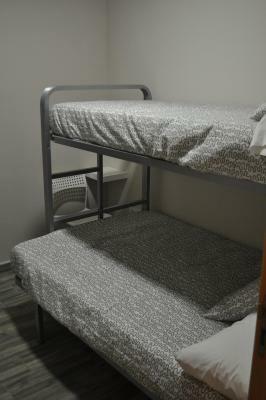 We paid $420 US for 3 nights and the room had 2 bunk beds and a small table between, nothing else. 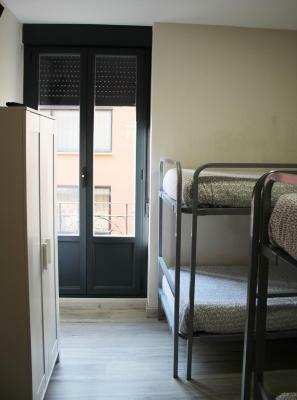 Great coomfortable hostel in Leons old quarter. 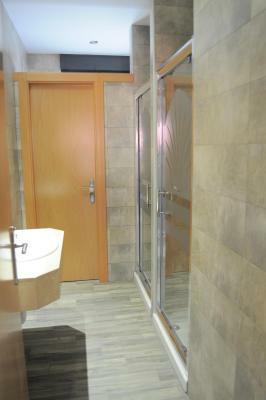 Clean rooms, modern bathrooms. We stayed on a Saturday night. Because it IS centrally located a lot of noise from outside filtered through and unfortunately we had a very noisy crowd above our room. We didn't sleep at all which did'nt suit because we were starting our Camino walk at 6.00am next morming. Very central location and helpful staff. Location is a little hard to find at the end of a long day of travel. Cramped , not very comfortable , room cramped and it was so hot in the room we could not sleep all night . They lock the kitchen so you can’t leave food in the refrigerator over night, because it won’t be open the next morning.